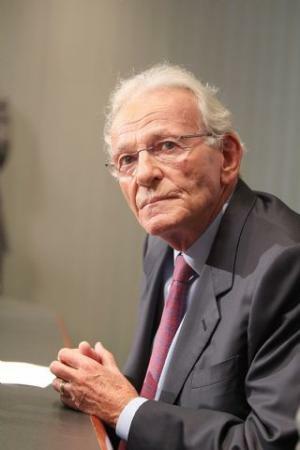 Norman Braman was born on 23 August 1932, in West Chester, Pennsylvania USA, of Jewish descent. He is an auto dealer, but perhaps best known as a former owner of the Philadelphia Eagles American Football team. He is also known for his civic and politic activism. So just how wealthy is Norman Braman now? Sources state that Braman has acquired a net worth of over $1.9 billion, as of early 2017, established through his involvement in the automobile dealership, as well as through his other business ventures, now spanning over 60 years. Braman was raised in the Cobbs Creek, Philadelphia, by a Romanian-born mother who worked as a seamstress, and a Polish-born father who owned a barber shop. During his teenage years, he served as a waterboy at the Philadelphia Eagles training camp, before re-locating to West Chester, where he attended West Philadelphia High School and later enrolled at Temple University in Philadelphia, graduating with a Bachelor of Arts degree in Business Administration in 1955. Braman immediately started working in the marketing and sales department for Seagram’s Distributors, and established his net worth so that two years later, he founded a chain of self-service department stores in Pennsylvania, named Keystone Stores. His business eventually developed into a public company – Philadelphia Pharmaceuticals – with Braman becoming a substantial shareholder in 1969, considerably increasing his net worth. He later sold his interests in the company, and moved to South Florida. In 1972 Braman purchased a major interest in a Cadillac store in Tampa, and three years later he bought the Cadillac dealership in Miami; this was his start in automobile dealerships. The business grew rapidly, and today Braman is the owner of Braman Enterprises, an umbrella company for his automotive businesses. The company owns over 20 franchise locations in Florida and Colorado, including Braman Motorcars which sells the prestige brands such as that of BMW, Porsche, Bentley, Audi, Cadillac and Rolls-Royce. In 2015, the company had $1.8 billion in sales, significantly adding to Braman’s wealth. The growing success of his automotive business enabled Braman to purchase the Philadelphia Eagles franchise of the National Football League for $65 million in 1985. He was the team’s owner for nine years, selling it to motion picture official Jeffrey Lurie for $180 million in 1994. When speaking about Braman’s personal life, he is married to Irma Miller, with whom he has two children. The successful businessman has been involved in philanthropy – along with his wife, he founded a charity organization called The Norman and Irma Braman Family Foundation, as well as the Braman Family Breast Cancer Institute at Sylvester Comprehensive Cancer Center in the University of Miami. The couple has also supported other charity causes and organizations, including the shelter for homeless women and children Lotus House and the Greater Miami Jewish Federation. Braman’s success has also enabled him to become a civic activist, who has successfully fought against controversial proposals, such as that of former Miami-Dade Mayor Carlos Alvarez who initiated a large property tax increase and an increase of earnings for his staff. He also helped to defeat a proposal of tax-funded improvements of sports facilities, initiated by the Miami Dolphins owner Stephen Ross. Braman has also been involved in politics, as a strong supporter and patron of Marco Rubio, who ran for the Republican nomination for President in 2016. 1 Owner of the Philadelphia Eagles football team, 1989-1994.